Review Canonical's next version of Linux-based operating system Ubuntu has hit its first beta stage – and while Ubuntu's Unity release is sitting out its first beta, as is Kubuntu, there are plenty of changes and new features in the rest of the Ubuntu family. Perhaps the biggest news lies in Ubuntu MATE. The relative newcomer to the Ubuntu family still offers a desktop experience reminiscent of Ubuntu 9.10 – that is, one modeled after GNOME 2.x – but there's a new (optional) hybrid mode that adds some of the features of Unity to MATE. Named Mutiny by its creators, the new option adds a Unity-style top menu to the MATE desktop. Don't panic, MATE traditionalists – the Mutiny panel layout is entirely optional. And, it's also not actually Unity. It uses two panels styled to recreate the look of Unity. The result is actually quite nice, even if you don't particularly like Unity. To activate the Mutiny panels, head to System, MATE Tweak and change the panel option to Mutiny. The result will be a top panel that, to the right of the screen, is nearly identical to the stock MATE panel, but lacks the menu options on the left. Instead there's an additional panel on the left edge of the screen that does a good job of mimicking the same panel in Unity. At the top there's a menu item which, instead of opening the Unity shell, gives you access to all the MATE menus. Also new is Ubuntu MATE's Software Boutique, which is the distro's own version of a software center (the Unity version of Ubuntu will reportedly be using a new software center for 16.04). At the moment, there are only about 120 apps in the Software Boutique, but what's there looks really nice with lengthy descriptions, screenshots and the ability to filter apps by category. If you need something that's not in the Boutique there's a handy link to access other software centres, including the stock Ubuntu version (and of course there's always apt-get). 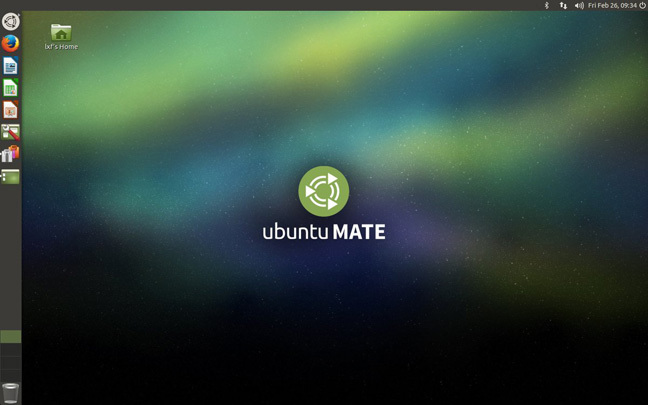 Other changes in MATE include software updates – MATE itself is now at v1.12.1 and the Caja file manager is now at 1.12.4 – and some under-the-hood work that the Ubuntu MATE team says should reduce CPU usage "across the board." With its (optional) new look and the flavour-specific software tools, Ubuntu MATE is starting to feel like a distro in its own right, while maintaining those well-stocked Ubuntu repos and the rock-solid underlying system. In many ways it feels like Ubuntu without, well, the Ubuntu. 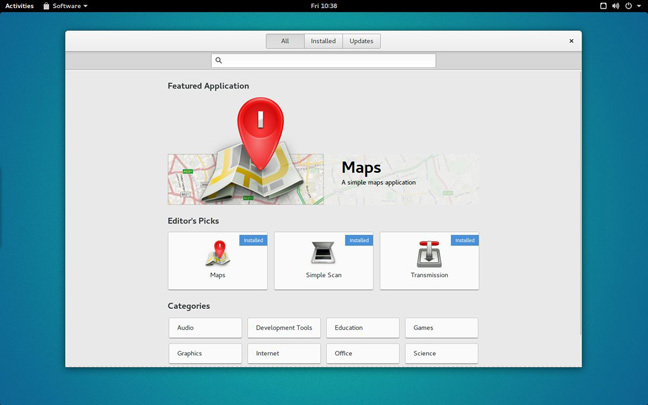 Another flavour with a big set of changes in store is Ubuntu GNOME. The GNOME desktop-based version of Ubuntu also gets the usual slew of software updates, with the GNOME Shell bumping to 3.18, along with, as the release notes say, "most" of GNOME 3.18. I didn't notice any applications stuck at previous versions, but there may be some under-the-hood tools that are a version behind. As with Ubuntu MATE, Ubuntu GNOME has a new default software centre, though in Ubuntu GNOME's case it's GNOME Software, which is well polished at this point. There are a couple of other new GNOME apps installed by default in this release, namely GNOME Calendar and GNOME logs. The former is notable for being one of the better calendar applications available for Linux users. That's not to say it's perfect, but it beats having to install all of Evolution just to get a working calendar. Ubuntu GNOME 16.04 also gets the experimental Wayland session support that other distros have been offering for a while now. It's not there by default, but if you install gnome-session-wayland and log out, you'll see a new option to log in with "GNOME on Wayland." Before you do, make sure you're using an OSS GPU driver, because that's all that Ubuntu GNOME supports right now. Three other flavours have releases out of this first beta, including Lubuntu, Xubuntu and Ubuntu Kylin. There's really nothing new in Lubuntu. Sorry LXDE fans, you'll have to keep waiting for the arrival of the fabled LXQT desktop. Xubuntu 16.04 beta one does have some updates, notably the latest version of the XFCE 4.12 desktop. Also note that the Xubuntu release notes suggest you don't try to upgrade to the beta. Install fresh or wait for the final release. That's good advice for any of these releases – this is a beta release, so install at your own risk. I didn't encounter too many problems with any of the flavors, but there was one disconcerting message from the installer in all the releases I tested that complained about "creation of swap space in partition failed."